Two marriages with a combination of five children and six grandchildren have been an experiential learning classroom for family living. Looking back at lessons learned, some very painful, combined with working in the field of practical neuroscience has motivated Deanna and me to share some simple and dynamic ways to improve family life. These practical neuroscience principles and practices will leapfrog family respect, communication and harmony. You may find some gems here if you are experiencing pain and chaos in your family of two or twenty. Please consider the idea that every family member is doing the very best they can. This applies to you, your spouse, your children, grandchildren and your parents. Accepting this idea may be difficult due to social programming, emotional reactions and the ego’s need to be “right.” Practical neuroscience explains and supports this potentially controversial statement. Doing and being the very best you can is influenced in the moment by state-of-mind, complex human dynamics, personal demands, worries, health issues, stress, self-awareness, programming and having the proper tools to deal with each emerging situation. Patterns of behavior have positive and negative effects on all family members. They are often subtle and can build slowly. Most people are unaware of destructive patterns until things “boil over.” If they are aware, they have inadequate tools to deal with them on a positive and proactive basis. So, on a moment-to-moment basis, everyone is truly doing and being the best they can be. No one is at fault, yet most people seem to think they are right and everyone else is wrong. This builds resentment, initiating attack and defense that serves no useful purpose. Hopefully, this provides some helpful insight into why it’s essential to be more compassionate for yourself and others. A simple thought of practical merit, accepted by most people, is that everyone can improve and be a better person. Examples include being kinder, more compassionate, a better listener, available to help others, and becoming a role model for higher-road behaviors. The truth that we are all capable of doing and being better is the genesis for human development and improving family harmony. Everyone has values because values drive behavior and behaviors create your inner and outer experiences. Values have different grades or levels ranging from “low road” to “high road.” Behind each “high road value” is a “high road behavior.” Most people think they know something about values, but few really go beyond the surface level. Creating your family shield of values is a safe, fun and dynamic way to improve all aspects of family life. Bring your family members together for an hour when distractions and emotional turmoil are minimal. Select an environment that is fun, safe, comfortable and inviting. Gently and compassionately, inquire if everyone is interested and committed to improving family life. Acknowledge that everyone is doing the best they can. Ask for agreement that everyone can be a better person and family life can improve if everyone makes small and consistent positive contributions each and every day. Have plenty of paper and colored markers or pens available. A flip chart is ideal for all family members to see their ideas acknowledged. Google the phrase “check list for personal values.” Select and print out copies of the resources that appeal to you. Each family member decides on two of their personal favorite and “highest values.” The values are recorded for all to see. The next step is for each person to think about and write down two to three associated behaviors for each of their personal values. As an example, if “fun” is a value, then possible behaviors are “more play time, lightheartedness, less judgment, sense of humor and being your natural and authentic self.” The behaviors should be recorded, positively acknowledged and discussed by all family members. 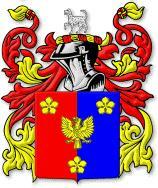 Consider creating your shield from internet graphic images that you can customize with your family names, values and behaviors. Have one or more family members with visual and graphic skills take on this task. Each family member can read aloud his or her chosen values and the behaviors they will practice. Applause before and after each person shares their promise is an affirming, “team building” practice. Once your family’s shield of values has been created, post a copy in a common area like the kitchen, where all family members can see it as they go about their day-to-day business. This daily reminder reinforces practice of positive behaviors and encourages impromptu discussions about family values. A great weekly or bi-weekly family ritual is coming together to acknowledge and compliment each other on the positive behaviors experienced from each person. Do this, even if there are only two of you. “High fives” are usually appreciated. The ritual serves everyone and becomes a wonderful legacy to share with others and pass on to future generations. In conclusion, self-forgiveness and forgiveness of others is the pathway to healing, harmony and human development. Blame, attack and defense do no good for anyone. These behaviors deteriorate self-esteem and family relationships. Building your family shield of values is the pathway to making positive behaviors more conscious and deliberate and reversing destructive patterns of behavior. “High road” values are the bedrock of family harmony and love. When values are high, corresponding behaviors follow close behind. Are you experiencing strained and difficult communications with a family member? Your difficulties may be due to big gaps in the ways you both communicate. 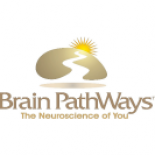 Your Brain PathWays report gives you what you need to know and do to get on their “wavelength.” Click to purchase your Brain PathWays online self-assessment and download your report today. This entry was posted on May 30, 2012 by brainpathways in Family and tagged family, Home, Interpersonal relationship, life, neuroscience, Practical Neuroscience, relationships, Value (personal and cultural).